Abstract: In this talk I will address some of the most important aspects in and around doing data science. We will cover the data science workflow through applications in different industries and explore the data science landscape including tools and methodologies, roles, challenges and opportunities. Bio: Jesús (aka J.) is a lead data scientist with a strong background and interest in insight, based on simulation, hypothesis generation and predictive analytics. He has substantial practical experience with statistical analysis, machine learning and optimisation tools in product development and innovation, finance, media and others. 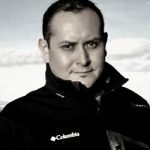 Jesús is the Principal Data Scientist at AKQA. He has a background in physics and held positions both in academia and industry, including Imperial College, IBM Data Science Studio, Prudential and Dow Jones to name a few. Jesús is the author of "Essential MATLAB and Octave," a book for students in physics, engineering, and other disciplines. He also authored the upcoming data science book entitled "Data Science and Analytics with Python."